﻿We have officially opened REGISTRATION for PHOTOGRAPHERS! 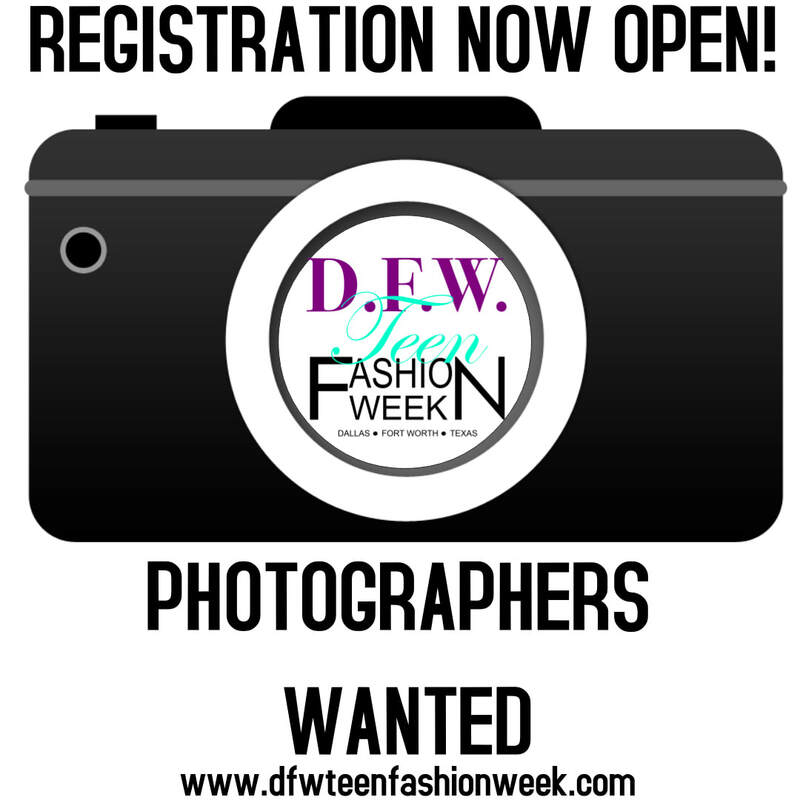 DFW Teen Fashion Week® 2017 October 7 & 8TH in Dallas! Experience the largest, most dynamic exhibition, convention and premier fashion showcase in Dallas. We are searching for local photographers to join our team ! We invite all PHOTOGRAPHERS to participate on this fabulous day !